This bundle included 130 elements in PNG, JPG and PSD formats. Set contains twilight illustrations, elegance alphabet with floral ornament in dark gray and white colors, moon eclipse with different halos, pre-made posters and cards, plants elements. Esoteric engravings, will help to design a unique brand, stylish logotype, graceful invitation to the event or conceptual business card. 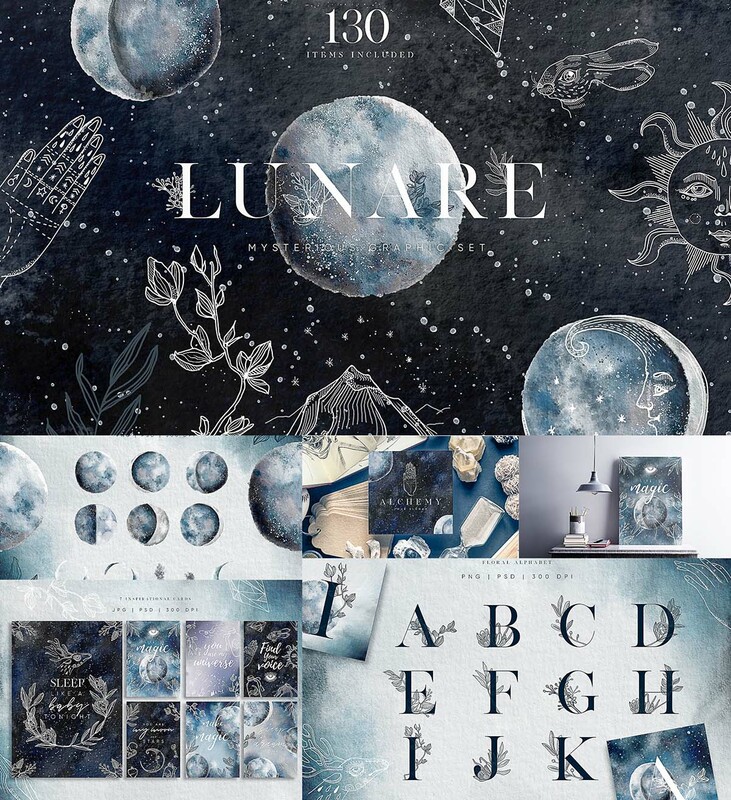 Tags: alchemy, celestial, eclipse, esoteric, greeting card, lunare, magic, moon, moon phase, religion, universe.